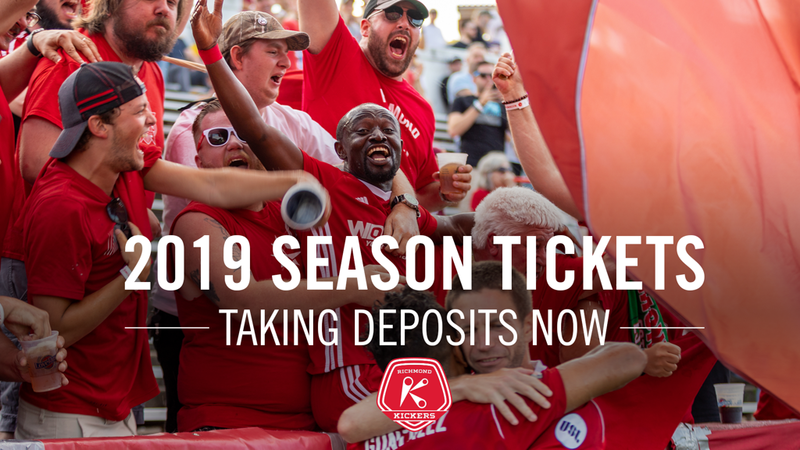 RICHMOND, VA – (Wednesday, November 28, 2018) – The Richmond Kickers will begin taking $50 non-refundable deposits for 2019 Season Tickets starting Wednesday, November 28. To place your deposit, please call Ticket Sales Manager David Kraft at 804-644-5425 x313. Beginning in 2019, the Richmond Kickers will compete as a founding member of USL League One. The league consisting of ten teams will compete in a single table during the inaugural 2019 season, with the league’s regular season consisting of 28 games beginning the weekend of March 29-31, 2019. All season ticket holders will have the option to purchase parking passes and additional scarves at a later date.